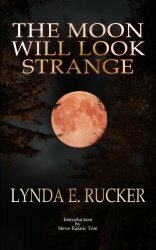 This week Irish Fiction Friday features author Lynda E Rucker. 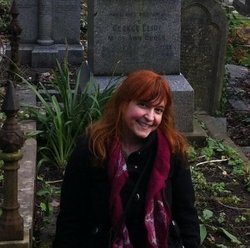 Although currently living in the UK, Lynda has lived in Ireland for many years and takes inspiration from the landscape, people and places for her short horror stories. The House on Cobb Street is typical of her eerie, thoughtful prose, but there’s another reason we’re featuring her today. It’s Lynda’s birthday! So many happy returns and we hope you have a wonderful time. Along with many other Irish authors and writers, Lynda was also a guest at Octocon this year, and may have been one of the many people who came along to show their support and eat our cake! There’s also an interview with Lynda in Nightmare Magazine (from which the story is linked), where she discusses her writing and influences. You can read it here! Her short story collection, The Moon will Look Strange, is also available via her website (if you want a signed copy), and it’s a real delightful shiver of a book. Enjoy your Irish Fiction, and we’ll see you next week!